Microsoft celebrated the graduation of its second class of Microsoft Accelerator for Windows Azure in Israel. Microsoft celebrated the graduation of its second class of Microsoft Accelerator for Windows Azure in Israel on Monday, after a four-month intensive program in Herzliya. Thirteen up and coming Israeli companies were chosen from a pool of 300 applicants. Arutz Sheva was there and spoke with some of the graduates. Microsoft Azure Accelerator provides a unique program offering business and technological platform helping early-stage start-ups make important decisions in a quick, decisive manner demanded in today's high-tech business environment. The program includes counseling at every stage of the start-up’s evolution from more than a hundred senior mentors sourced from hi-tech, finance and marketing sectors. The mentors share their expertise with the accelerator participants including the latest scientific methods developed by Georgia Institute of Technology in Atlanta, cutting edge UI & UX design, tech assistance and partnerships with Haifa's Technion and leading multinational companies. "The results of our second Microsoft Azure Accelerator class prove without a doubt that the success we saw in our first year was not coincidental, but rather the direct result of the unique methodology that we have developed" said Hanan Lavy, Director of Microsoft Accelerator. The start-ups have already caught the attention of leading Israeli and international investors and venture capitalists that have been following their progress over recent months. Ten of the thirteen participating companies have already received investment offers, and eight of them have closed on more than $4 million in funding. 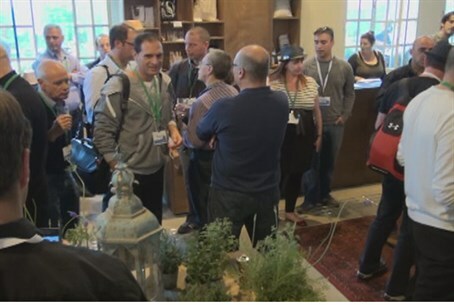 Following their debut in Israel, twelve of the companies will travel to California where they will launch their products before an audience of investors and industry influencers on May 7th at the Microsoft Silicon Valley campus.